The North Dakota University dropped the mascot name of “Fighting Sioux” in 2012, following a long and contentious debate about its offensive nature. 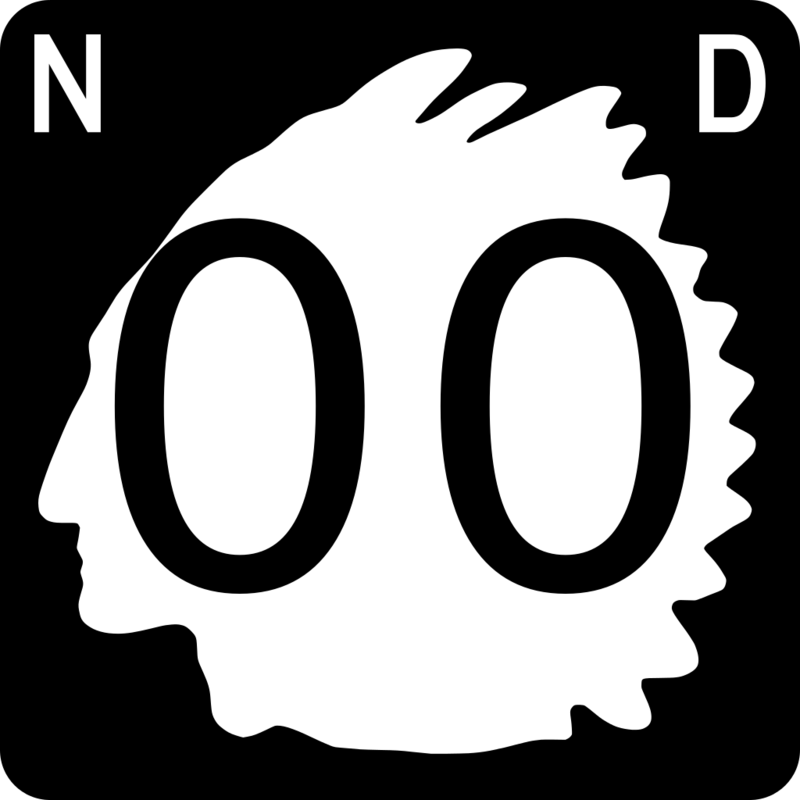 Next up are changes to North Dakota highway signs, which features the silhouette of a Native leader in headdress. In 1923, Red Tomahawk’s profile was chosen to mark all North Dakota state highways. It is displayed to show all travelers that a friendly Lakota was safely guiding them. Who is this friendly Lakota, Red Tomahawk? He is best known as one of the Standing Rock police that shot and killed Sitting Bull. The North Dakota Department of Transportation faced complaints and threats of lawsuits over the signage, according to a recent MPR story. Plans are moving forward to have new signs replace the Indian silhouette with the outline of the state of North Dakota. It will take 10 years to replace all the signs. Whether or not that is the real reason for the change, the change is a good one. The Chowanoke, an Algonquian people and original inhabitants of northeastern North Carolina, lost its last 30 acres of community-owned land in 1821. Its identity began to disappear with its land base. In the early 20th Century, local authorities even tried to have Indian people reclassified as black, another move to erase their history. Yet some Chowanoke managed to maintain their Native identities. Indian County Today ran a story Aug. 10 saying that Chowanoke were “considered by some experts to be extinct,” but descendants recently reorganized as a group. Duvonya Chavis and another tribal member bought 146 acres of land on the site of the old reservation with the hopes of reviving the nation’s traditions and culture. By maintaining its own property, Chavis now hopes to reinforce Chowanoke tribal identity among other descendants.